Sometimes critics of the King James Bible will bring up the fact that certain names are left out of genealogies, but what we need to remember is that every genealogy is making a point. Skipping certain names in a genealogy does not take away from the truth of that genealogy. Instead of getting tripped up, just ask yourself what’s the purpose of each particular genealogy, and that will help you understand why people have been skipped in certain instances. The point of the genealogy in Matthew 1 is that Jesus is the King of the Jews. In this genealogy, there are some names that were skipped. The people who were skipped were more obscure men that for whatever reason, God left out. It says there are 14 generations from Abraham to David, 14 from David until the carrying away into Babylon, and 14 from the carrying away into Babylon unto Christ. We know that it wasn’t exactly 14, but perhaps a few names of wicked or otherwise insignificant people were left out to make it easier to remember those three “14’s.” This is known as a "mnemonic" (something to help you memorize something). None of that changes the fact the genealogy accomplishes its purpose of proving that Jesus was in line to be king of the Jews. In some genealogies, even though one person did not directly beget the next person in line, the word "begat" is still used. To beget means to generate (which is related to the word gene) or to bring into existence. When the Bible skips someone, you can still say that that person was begotten of his grandfather because the grandson is a direct genetic descendant of his grandfather. Sometimes a genealogy will just say, “was the son of.” You can be a son without being begotten. For example, you could be adopted and be a son. You could even be a son-in-law and be considered a son. There is a difference between being a begotten son and just a son. You might be wondering how Jesus is begotten since he has always existed. According to Acts 13:33, Jesus was begotten on the day that he was raised from the dead, so when God the Father raised up Jesus from the dead that was a "begetting." Jesus was generated by being brought back to life. When we get saved we are also begotten of God in that way because we are "regenerated" or "begotten again." When we look at each genealogy of Moses and Aaron, it does not give us a complete genealogy. It will mention only four generations when they were there for around 400 years. Those genealogies were just to tell where certain people came from-- whether they were the sons of Levi, whether they were Kohathites or Merarites, etc. 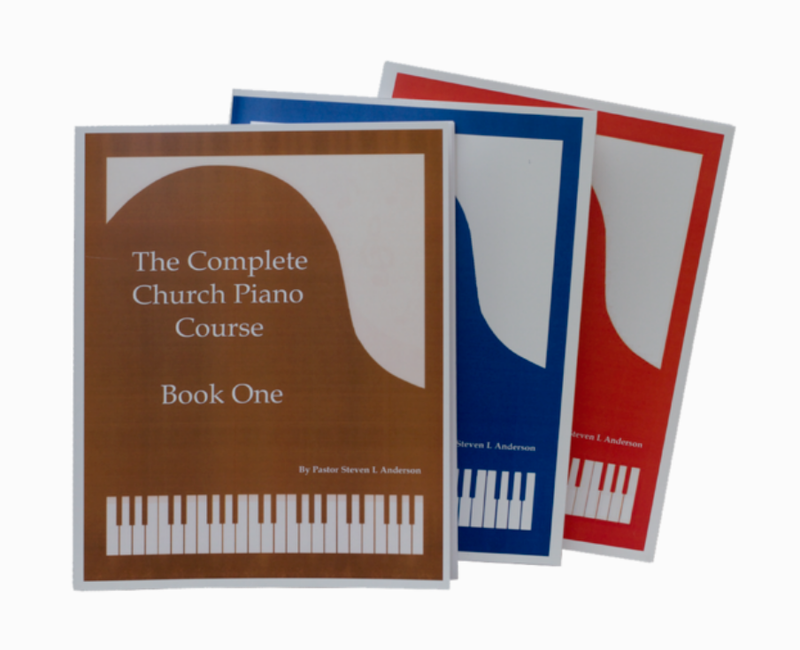 Then, when you go to 1 Chronicles, you’ll find a more complete genealogy. 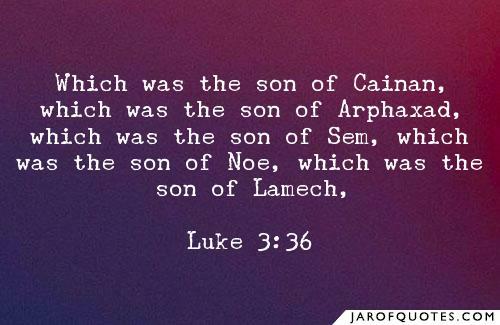 In Luke 3, it says that Joseph was the son of Heli, who was actually his father-in-law, but we know from the genealogy in Matthew that Joseph was literally begotten by a guy named Jacob. The purpose of the genealogy in Luke 3 is to show a physical genealogy of Jesus all the way back to Adam. Joseph, Mary’s husband, is mentioned instead of Mary because genealogies focus on men’s names, and Heli was actually Mary’s literal father. This next example is the one people tend to choke on. There’s a name in the genealogy in Luke 3 that is not mentioned in Genesis or 1 Chronicles. The name “Cainan” is only found in Luke 3:36. There is a reason why the Luke 3 genealogy is more inclusive. The purpose of the genealogy back in Genesis 11 was to show where various nations came from, but the purpose of the genealogy in Luke 3 was to emphasize the humanity of Christ by showing an unbroken, physical line. Therefore in Genesis, an insignificant person was skipped, whereas to make the point in Luke 3, it was essential that no one be skipped. This goes back to focusing on the purpose behind each genealogy and understanding the point that is being made in that chapter. Atheists will try to use the “extra name” to discredit the Bible, but if Luke was just writing some cunningly devised fable, it would have been easy for him to just copy the Old Testament genealogy. Even most Christians would say that the genealogy in Luke contains an error, and that the Bible is only perfect in the originals. It comes as no surprise that a guy like Ken Ham teaches this since he relies on proving things with scientific evidence rather than walking by faith. Maybe Ham should spend less time looking for fossils and more time studying the Bible. Then maybe he would notice a pattern of names being skipped at times due to their irrelevance. We no longer have the originals, and God has promised us that he would preserve his word. The KJV is the inerrant Word of God, and maybe God puts little things like that in the Bible, so that we will be required to have a little more faith.